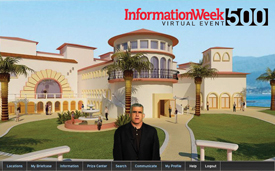 The InformationWeek 500 is by invitation only. The criteria used in the selection process are determined by InformationWeek editors. To make the list, a company must demonstrate a pattern of technological, procedural, and organizational innovation. Only organizations with $250 million or more in annual revenue are invited to participate in the study (a company may also qualify if they are a subsidiary of a parent company with revenue of $250 million or more; one or more subsidiaries of a single parent may apply as long as the parent does not apply as well). The 2013 InformationWeek 500 will examine the technology strategies and initiatives of companies across 22 industries (including higher education). Qualifying companies will be contacted with additional details on submitting their application for the 2013 InformationWeek 500. The application period closes April 12, 2013.